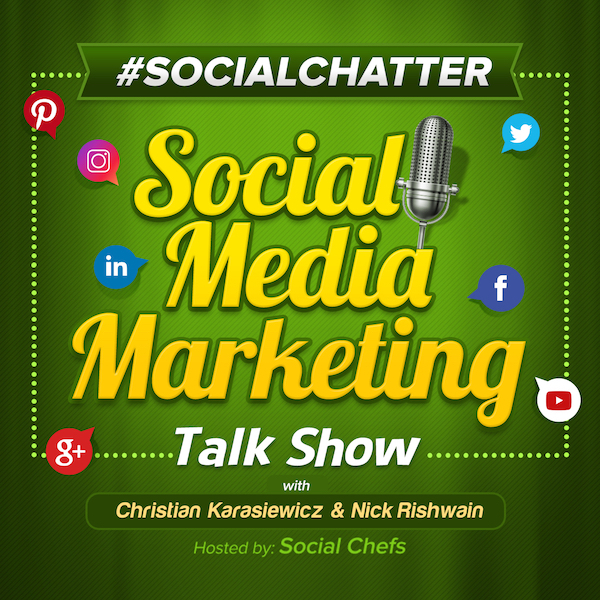 Welcome to this week's episode of Social Chatter, the longest running social media marketing talk show where we cover the latest social media news from this past week, including Facebook Stories Insights, YouTube copyright match, Twitter subtitles, Elgato Stream Deck and more. For those of you who missed last week's episode on Facebook Ad relevancy score updates and Instagram in-app checkout, with Dorien Morin-van Dam, you can watch the replay here. Let's see what's new in social media this week with, Christian Karasiewicz and Jessika Phillips from NOW Marketing Group. In YouTube news, they are rolling out a YouTube copyright match tool. This new tool, which is available under YouTube Studio > Copyright, can detect others who have uploaded your YouTube videos to their channel. How would you like to know when other YouTube channels are using your content as their own? The YouTube copyright match tool makes it extremely easy to see who is using your content and how much they match. Instead of having to search through YouTube videos, you can quickly identify ones that match your content and request video removal. When you request to have a video removed, you can send a 7-day notice, ask that they remove the content now and more via a form. As a business owner, you work hard building your business. Why let someone destroy it and capitalize on the YouTube videos that you've created? By using the YouTube copyright match tool, you can quickly identify channels who have uploaded part of or your entire video and have them removed in little to no time! You can access the YouTube copyright match tool for your channel here. In Facebook news, you can now access Facebook Stories Insights, and archive Stories for Facebook Pages. To access the insights for your Facebook Stories, follow these steps. In addition to Facebook Stories Insights, Pages can archive their Stories. You can find this under your Facebook Page publishing tools and look under Stories > Story Archives. You can read more about Facebook Stories Insights and archiving your Stories here. Also in Facebook news, they launched a Facebook transparency tool, to help you learn more about why you see content in your Facebook News Feed. The Facebook transparency tool can help you learn why you are seeing different content in your Facebook News Feed. You'll be able to better understand why certain posts show in your News Feed. According to Facebook, you can see if a post is from a friend you made, a Group you joined, or a Page you followed. You can also learn if the content you are seeing is because of interests, items you interact with, and more. In addition to helping you learn more about why you see posts in your News Feed, you can also get more content on your Facebook Ads. For example, you can learn why you're also seeing a Facebook Ad. Together, you can learn more about the content in your Facebook News Feed, as well as what you did to influence it and subsequently change your habits if you need to. You can read more about the Facebook transparency tool here. In Twitter news, they are launching Twitter subtitles. Twitter subtitles or closed captioning, will now allow you to include a .SRT file (this is a common filetype for adding subtitles to videos). Twitter subtitles help you add subtitles to your videos so that they are more accessible to others. You're just added subtitles to your Twitter videos! Remember, if you plan to upload your videos to other social media platforms such as Facebook or YouTube, you can reuse your .SRT file to add subtitles there as well. You can read more about Twitter subtitles here. Also in Twitter news, they are launching a Twitter lights out theme, a dark black theme, for iOS users. Do you find that you have eye strain after using your mobile device for a while? Twitter wants to improve that by introducing a darker mode called "lights out." Here is that the theme looks like. This new dark mode, should help you minimize eye fatigue, so that you can continue to work on your business. To enable Twitter Lights Out, follow these instructions on your iOS device. Select "dark mode" and turn on "lights out"
You can also enable this new dark mode theme on Twitter automatically, simply by checking the "automatic dark mode" option. You can read more about a new true dark mode on Twitter here. In WhatsApp news, they are rolling out reverse image search. This will allow you to see if an image that is shared in WhatsApp is old or fake news. WhatApp is a great platform for communicating with customers, especially overseas. Unfortunately, there is also a lot of fake news that is shared as well. By adding reverse image search, you can quickly look-up an image to see if it's real or fake and then decide whether you want to share it or not. As a business, being able to reverse image search from WhatsApp, can save you embarrassment because you can check if your images are originals, from another event, etc. WhatsApp is currently rolling out reverse image search. To see if you have it, update your version of WhatsApp from your device's app store. You can read more about reverse image search in WhatsApp here. In Instagram news, they are testing fast-forwarding through Instagram videos. Instagram is testing a feature that we are surprised hasn't made it's way to their platform - fast-forwarding through videos. Previously, if you wanted to fast-forward in a video, you had to start it again at the beginning. Now you can scrub forward or backwards to different points of an Instagram video. While they have this feature in IGTV, it's not there for normal Instagram video uploads. The reason this update matters for your business is that without it, you could be generating inaccurate results in your Instagram analytics, otherwise, if you're looping your videos. While this feature isn't released yet, we hope it comes to the Instagram platform soon. In the meantime, you can learn more about fast-forwarding through Instagram videos here. The first tool that we have discovered this week is Elgato Stream Deck. The Elgato Stream Deck is a powerful controller that can help you manage your live shows easier. You can attach is to your computer and use it together with live video tools such as OBS, Ecamm Live, Twitch, switch between multiple cameras during your live video show, and even send out a tweet announcing you're live, with just the press of a button. We currently use the Elgato Stream Deck during our weekly social media marketing talk show and have plans to incorporate it more into the show on a weekly basis. In addition to being able to help you with your live video, you can also use the Elgato Stream Deck to quickly launch programs, quit applications, bring in sound effects for your live show and so much more. Here's a look at some of the features of the Elgato Stream Deck. The Elgato Stream Deck is available in a 6-button and 15-button controller. We recommend using the 15-button one, because you can set up multiple views depending on the task that you are doing. You can pick-up a Stream Deck for around $148.00 and have it help you with multiple tasks, from the following link. The second tool that we have for you this week is Display Purposes. Display Purposes is a free tool to identify relevant Instagram hashtags. With Display Purposes, you can quickly identify the most important hashtags to use in your Instagram posts. By adding hashtags to your Instagram posts, you increase the chances of having your content displayed when someone browses an Instagram hashtag gallery. Display Purposes is a free Instagram hashtag tool. You can start using it from the link below.